In this episode we interview John Bowen, a serial entrepreneur and founder of four multi-million dollar businesses. John shares his interesting and diverse entrepreneurial journey, and tips & advice for developing wealth through your small business. 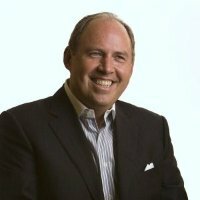 John is a successful entrepreneur and the founder of four multi-million dollar businesses, including CEG Worldwide (dedicated to helping financial advisors transform their practices into wealth management businesses) and AESNation.com (an ever-expanding mastermind community of like-minded entrepreneurs). He is widely recognized as a leader in the financial services industry. He currently coaches hundreds of top financial advisors to serve their affluent clients even more effectively and matches successful business owners with top financial advisors for 2nd opinions. He is a podcaster and author with more than 15 books to his name and is a regular columnist for The Huffington Post and Financial Planning. He is also the host of the Accelerating Entrepreneurial Success podcast. John also spent 26 years as a financial advisor and unlocking the wealth-building secrets of successful entrepreneurial families. He lives in Northern California. John’s main goal is to help start-up entrepreneurs build their wealth and success. He shares his early life experiences and being involved in his father’s business. “Pay yourself first.” John explains why it’s important to pay yourself the right salary first, then pay the expenses of your small business. John introduces how to become seriously wealthy as a successful small business owner by harnessing the financial and legal strategies of the Super Rich. What are some of the strategies (the 6 phases?) small business owners can execute to become seriously wealthy while growing their businesses? How do successful business owners mitigate income taxes and generate even more wealth? How do successful business owners protect themselves from unjust lawsuits and/or divorce proceedings? Why should becoming seriously wealthy matters to successful business owners? How can successful business owners do more to support worthy charitable causes? Do you want to build a “Lifestyle Boutique” or an “Enterprise”?